Remember blossoming love after you meet someone; taking pleasure and delight in seeing their face and hearing their voice, being swept away by intense desires when you think about them, having that longing and craving to see them and touch them, to kiss them, hold them and feel their body close to you – so much that you can’t contain your eagerness and enthusiasm. None of the above is a prerequisite for unconditioned Love. There are no prerequisites. People mistake lust for true love and toss the word around in that most widely used superficial fashion; I love you… like a broken record. This is not Love… it’s the Minds interpretation of love and because Mind is conditioned by polar opposites you get the potential of pain, sadness, boredom, apathy and disinterest looking right back at you in the mirror whenever you muse about being in love. You cannot become the embodiment of unconditioned Light by being the distorted reflection – you have to look past the mirror plane at where the principles of Love originally unfolded from. Mind love is living in the shadow of separation. Minds distortion of love feels good. It can be intoxicating at it’s peak but devastating when something goes wrong. You can experience wonderful moments which make your heart dance but then you can feel utter despair from a single utterance or misdeed. Unconditioned Love harms nothing. It is in the Mind that the idea of love wreaks chaos. It is love conditioned. 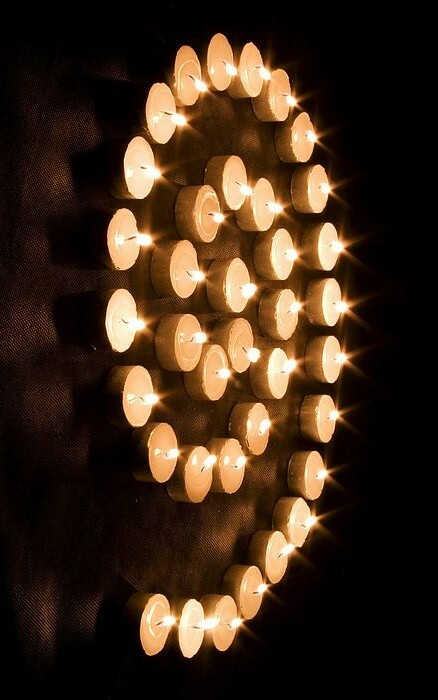 Each candle might look similar… but each one is unique because it has been made separate. What is the same about each candle is the expression of Light that emanates from it. There is only ONE Light. The analogy is the same for Human Beings… bags of skin cover the Light and make it’s outward appearance look different from others. 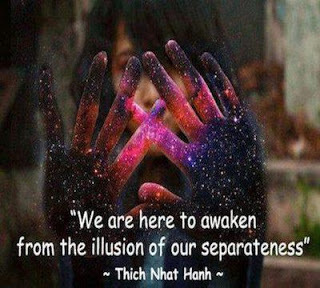 Essentially, though, this Light, awareness, is the same in everyone. There are many genuinely loving people walking this Earth who engage in wonderful acts of charity and kindness but it is only with extraordinary and rare exception that we see the embodiment of real Love emanating through Humanity… Gandhi, Mother Theresa and Jesus took only what they needed to survive, they lived humble lives in servitude to others, devoting no time in particular to anyone but all their time to everyone. The message they championed was to Love unconditionally. The reality of reality is that many people focus their awareness in the duality of Mind and they become subject to polarized conditions and programmed prerequisites. Living in the Mind is the reason that a special kind of love or bond can exist for some people instead all people. It is the reason you can be “in love” with someone and then hate them. It is the reason you slave to provide for your own children when children in your local community live in poverty and go hungry. It is the reason you can turn a blind eye to a beggar on the street. The principle of True Love naturally unfolds from that place where there are no conditions. Anything else is the Mind lusting after perfection.